Tap Dance, style of American theatrical dance, distinguished by percussive footwork, that marks out precise rhythmic patterns on the floor. Some descriptive step names are brush, flap, shuffle, ball change, and cramp roll. Tap dancing is based on the arrangement of several basic steps. 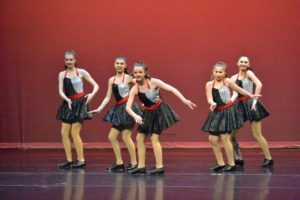 Once you master the steps, you can learn and create tap dances and step combinations, which can be creatively put together at any tempo or rhythm. Tap dancing is a great form of exercise and entertainment. Knowing the basics of tap dance can be helpful in theatrical auditions. The director will most likely ask you to perform the Triple Time step, which you can learn by reading the following series of steps. Any step can be done as slowly or as quickly as you wish. Generally, the steps appear more effective and appealing if performed quickly, but remember to start out slowly as to really understand the step.